Sometimes healthy eating is called for. Or, healthy drinking in the case of our Healthy Orange Smoothie. Delicious. We LOVE this smoothie because we always feel an energy boost after drinking it. 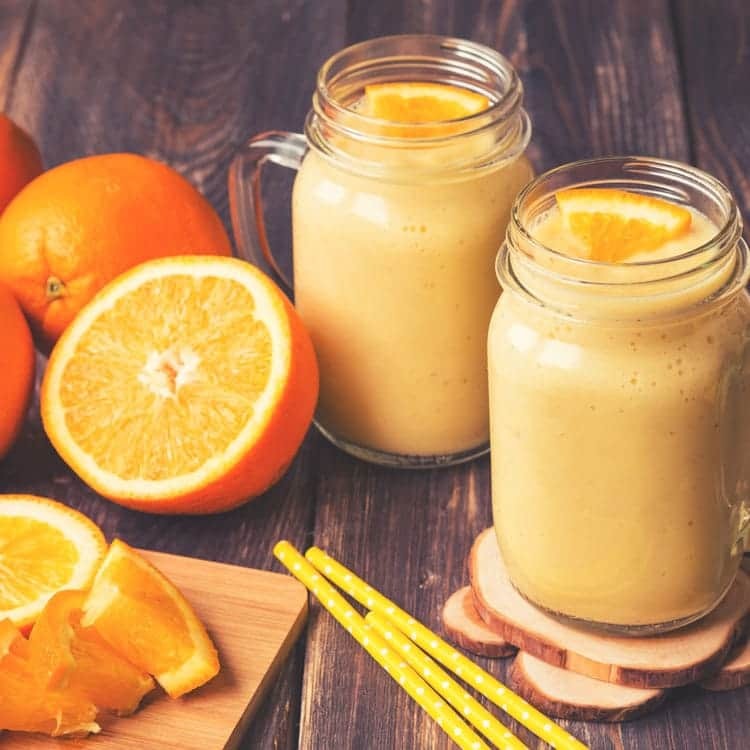 Whether you’ve always been blessed with a high metabolism or are watching your weight, this healthy orange smoothie is a great choice for eating healthy and watching the calories. No diets or anything crazy here, but I decided to add in a few healthy snacks so when I’m yearning for more food, I can fill up on something good. And do some crunches and apple picking… one of the cardio tummy exercises I picked up. And I’ll play some basketball. Because its awesome. Healthy smoothies are awesome. They are a fun and easy way to get healthy nutrients in on the go. If you’re a member of a smoothie club (and maybe even if you’re not) you know what I’m talking about. 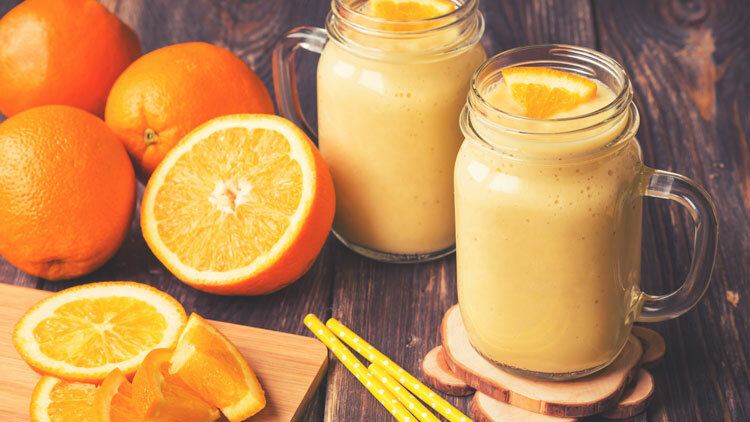 If you’re looking for a grab and go snack or drink, whipping up a healthy Orange Smoothie is super quick. And the recipe… well, all you need to know is 1-1-1. 1 cup of low-fat vanilla yogurt (I use Greek), 1 cup crushed ice, and 1 cup orange juice. Add whipped topping if desired, but it’s not essential. Ready to whip up your own? Print out or save the recipe! You might want to try some of the smoothie recipes in this Sensational Smoothies Book. EVERY recipe I have tried from this book has been AMAZING! Smoothies are a delicious way to get in a meal on the go or a tasty snack. Looking for more smoothies to try? Here are some of our FAVORITE smoothie recipes: Ginger Peach Smoothie, Simple Banana Smoothie, Chocolate Blueberry Smoothie and our delicious Apple Pie Smoothie. In blender, blend together first 3 ingredients until smooth. Pour into two glasses to serve. Top with whipped cream if desired. YUM! We have all those ingredients and will be making this for our dessert today 🙂 Thanks for sharing it on Sweet & Savoury Sunday. Pinned. Would love if you come and share it tomorrow on The Yuck Stops Here! recipe link up at 6pm PST. Yum! That smoothie look so delicious and easy to make. I love how you can make a whole meal in one glass and tastes delicious with smoothies. Thanks for sharing. Visiting from Tuesday With A Twist Blog Hop . Have a wonderful healthy Easter! This sounds great and very healthy. I love greek yoghurt and oranges I can imagine it’s lovely and creamy. This has been featured as the most viewed entry on Sweet and Savoury Sunday. Stop by tomorrow when the party goes live grab a button and link up with us again. Happy Easter, have a great weekend! I’ve been on a real smoothie kick lately! 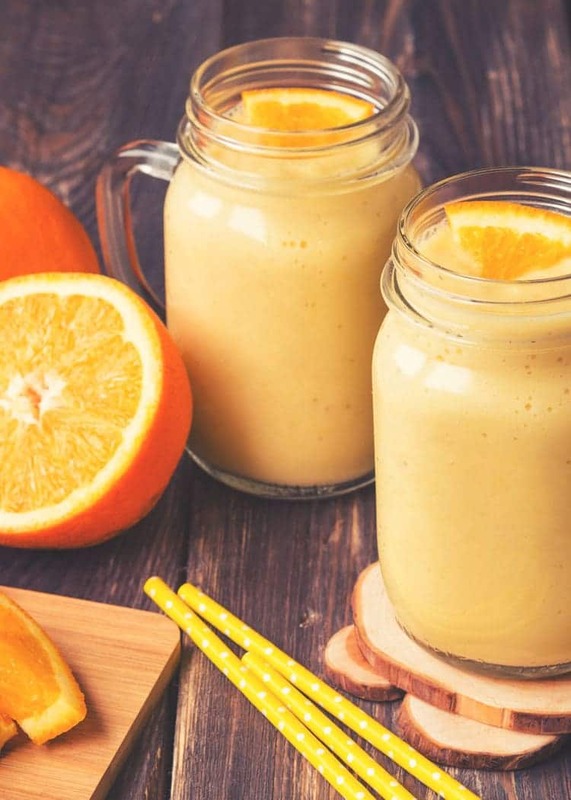 I just had an orange-banana smoothie this morning 🙂 I love the idea of a vanilla-and-orange smoothie like this one! Thanks Bailey. Smoothies are my go-to when I want something quick and healthy. I really need to have ingredients ready to make them on a daily basis because its a great way to get breakfast on the go.